Hi there! It’s been so long since I’ve written a post, and as more time passes, the more nervous I get about how awesome first post after so long has to be! Well instead of putting it off longer, I figured today was as good a day as any to get back into the blog groove! 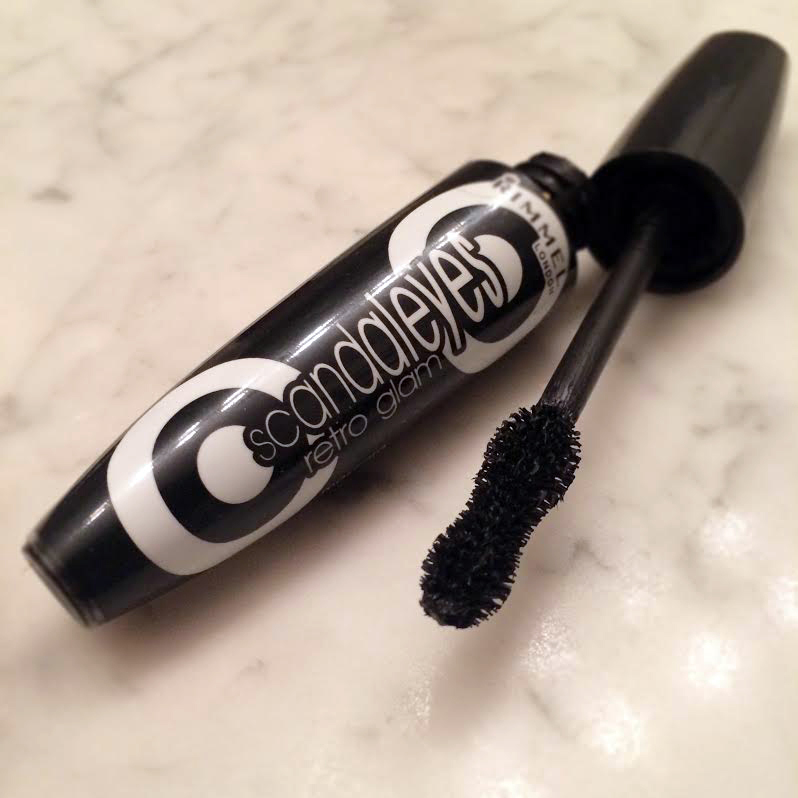 Today’s post is a #transformationtuesday post and review of a new favorite mascara. If you follow me on instagram, ( you should, I post lots of cool stuff!) you’ll remember a few weeks ago I posted a picture showing what a difference mascara makes when you’re too tired to put on any other makeup. Mascara is like the MVP of makeup because it doesn’t involve a ton of time like a winged liner or contoured face do, yet it makes SUCH a difference. What was the amazing mascara that caused this lash transformation with just a few swipes?! It’s the Rimmel London Retro Glam Mascara. This mascara is particularly amazing because it always has people thinking I’m wearing false lashes. 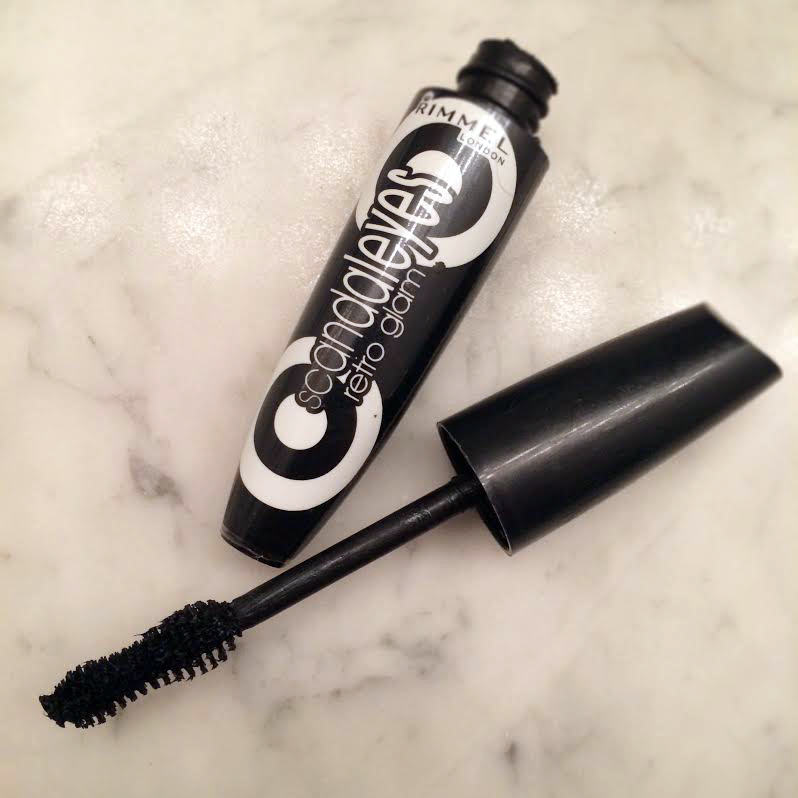 The formula is wet enough that it separates the lashes, but dry enough to build up thickness. The big brush builds lots of volume but also has a tapered tip so I can precisely get to the corners of my eye. Even without mascara primer, this doesn’t run on my oily eyelids. I tried to get a good shot of the funky shaped brush, but I’ve been using this for a few months now so it looks more like a blob now. I’ve got to say I’ve never used a mascara with a brush like this. I’ve used straight, tapered, big and chunky, and even the ball shaped kind. It dips in the center, and according to Rimmel, this hourglass shape is what causes this mascara to give the wide-eyed look of the 60’s. So maybe it is the brush that makes this so unique and has such a great effect on my lashes. I’d never tried a Rimmel mascara before, and can’t believe what a drugstore gem this turned out to be. Rimmel was kind enough to send me this for free through Influenster. I figured it would be just another mascara, but can’t believe how much I love it. A steal at $5.99, this is such a drugstore gem. With such a great mascara being at such a great price, I can’t see why anyone would be paying $20+ for a high-end mascara. Influenster & Rimmel for the win! I know everyone’s mascara needs are different based on length, thickness, density and how curly your lashes are. (Case and point – so many people love Dior Show but it’s terrible on me!) But at only $5.99 why not give this a try? If you do, please let me know. Would love to know what you think! Thanks for reading, and I promise to post again very soon! Tags: drugstore, drugstore makeup, eyes, freebie, lashes, mascara, rimmel, transformation tuesday. Bookmark the permalink.